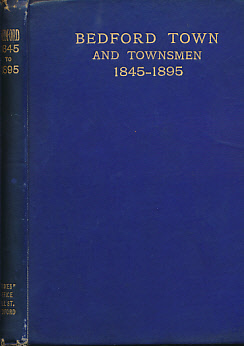 Barter Books : Hamson, J : Bedford Town and Townsmen. A Record of the Local History of Bedford During the Last Half Century. 180 x 130 mm (7 x 5 inches) - 168pp + ads. G : in Good condition without dust jacket. Edgewear to boards and spine. Previous owner's inscription. Browning to prelims.